There is a wide range of opinions about most medical topics in veterinary medicine, and rarely sufficient evidence to definitively establish who’s right and who’s wrong. For better or worse, we have tremendous individual latitude in deciding what treatments to offer and in counseling our clients. But is there ever a point where a vet is so vehemently opposed to so much of what constitutes modern veterinary medicine that they shouldn’t be allowed to hold a medical license? If someone reviles the rest of the profession, claims that our most common and well-established interventions are useless or harmful, and offers ONLY unproven or disproven alternative treatments, why should they be allowed to hold the same license and practice under the same terms as the rest of us? Is it misleading for animal owners to call oneself a veterinarian when one’s entire philosophy and practice inconsistent with the accepted approach of the veterinary profession? Are there truly absolutely no standards at all for what constitute legitimate veterinary medicine? Of course, in reality there is virtually nothing in the way of a standard of care within veterinary medicine. Government seems uninterested in regulating the profession beyond policing drug abuse. And the institutions of organized veterinary medicine, such as the AVMA, have absolutely no interest in interfering with the sacred autonomy of individual veterinarians, regardless of what sort of treatments they employ. The AVMA notoriously refused to consider even the small step of acknowledging that homeopathy is a useless fraud, and it includes complementary and alternative medicine as part of the definition of veterinary medicine, despite being unable to define what it is. The general approach is that if something makes vets money, it is fine to offer regardless of the state of the scientific evidence. However, there are some principles of law and ethics that have been articulated which the extreme anti-medicine vets seem to violate. For one, veterinarians are generally required by law to have a degree from an accredited school of veterinary medicine. The overwhelming majority of what is taught in such schools is science-based, conventional medicine. The purpose of such a requirement is to ensure the public is not harmed by practitioners who don’t understand science or scientific medicine and offer instead unscientific, dangerous quackery. But what is the value or meaning of such a degree if an individual repudiates nearly all of what they have been taught? A vet who explicitly rejects the basic principles of science and the core therapies of veterinary medicine is no less a threat to the public than a homeopath or other non-veterinarian who practices on animals without a formal veterinary education. In fact, such faux veterinarians are even more of a threat to veterinary patients because the public can be misled into believing they are practicing as legitimately medical practitioners. 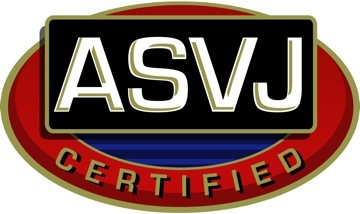 Veterinarians must not defame or injure the professional standing or reputation of other veterinarians in a false or misleading manner. Veterinarians must be honest and fair in their relations with others, and they shall not engage in fraud, misrepresentation, or deceit. Yet the extreme alternative vets who base their practice entirely on dismissing mainstream medicine as useless and dangerous, and who claim to be part of this profession while rejecting its basic foundations are inherently defaming other vets and deceiving the public. What is the purpose, other than being able to make money from clients, of calling yourself a veterinarian while simultaneously denouncing the rest of the profession as greedy, negligent, and dangerous? Why should this be allowed? Of course, even the majority of so-called “holistic” veterinarians make at least some concessions to science and scientific medical practices. I am not suggesting that merely offering untested on unproven therapies disqualifies one from serving as a licensed veterinarian. Even offering clear nonsense, such as homeopathy and “energy medicine” can be combined with otherwise acceptable patient care in an integrative model, though I believe the profession needs to do more to inform the public about the lack of value to such practices. But there are some pretty extreme voices in alternative veterinary medicine who reject the core values and practices of the profession, and it seems unfair to the public and the profession that these individuals can present themselves as licensed veterinarians on an equal basis with the rest of us. Here are a couple of examples of these most extreme voices in alternative veterinary medicine. Dr. Jordan is one of the most vehement opponents of vaccination in the veterinary field. 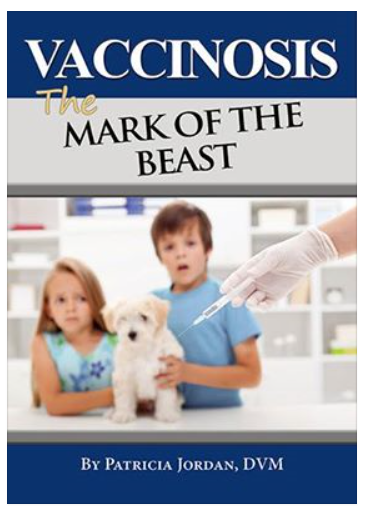 She is the owner and author of the web site and book Mark of the Beast Hidden in Plain Sight: The Case Against Vaccination. Here is a sample of the rhetoric from her site. WE SHOULD REWRITE THE BOOKS OF MEDICINE TO REFLECT THE UNDERSTANDING THAT DISEASE HAS EVOLVED FROM THE VERY USE OF VACCINES. Not only does she espouse absolutely insane ideas about the dangers of vaccination, she promotes bizarre conspiracy theories about cover-ups at the CDC and malign cabals of pharmaceutical companies hiding clear evidence of widespread harm to people and pets from vaccines, and she actively blames the veterinary profession for choosing profit over the welfare of patients. Brave veterinarians are speaking out, revealing veterinary malpractice committed through pharmaceutical pressure and greed. THIS visual documentation is the first on the horrors of VID. Unforgettable photos, video and veterinary records prove widespread veterinary malpractice through unregulated over-vaccination. Listen to the parents, not the Pediatricians! Listen to the pet owners and not the vets! Doctors and veterinarians are not trained in nutrition because it will not help them financially. There is much more money in surgery and drugs. We learn our medicine in programs and teaching hospitals that are typically funded by those who have the most to gain financially: the drug companies. Have heard good reports on my AVH [Academy of Veterinary Homeopathy] listserve about [pet] insurance. Of course you shouldn’t be getting any of the conventional poison in the first place and it would be highly doubtful you would ever need it anyway. Bottom line, doctors get paid a lot of money to pander vaccines PERIOD. Apparently the DEA also works for the FDA which works for the harmaceutical companies……. Another whistleblower, another bit of truth that is being covered up by the CDC.. The government admits that live virus vaccines should not be administered to those with immune deficiencies. What they ***KNOW BUT FAIL TO DISCLOSE*** are the mechanisms of immunosuppression. It’s a cascade effect that leads to the diseases that are denied by the criminal CDC to protect profits instead of human life. Of course the WHO is as conflict ridden as the rest of health care and governments who profit directly from it. The vaccines are unsafe and they are unnecessary, they are also the FOUNDATION of conventional medicine which unfortunately is not to be confused with conventional “wisdom”. This is an example of how the system is built upon a foundation of “speculation” or unethical medicine that is now being questioned. Vaccines DO NOT confer herd immunity and they DO NOT confer individual immunity. They are however, the “golden calf” of the white coats that grows into the “sacred cow” of vaccine induced disease. What will they do when the public figures out they have been lied to for the purpose of “making a living by killing” by the pharmaceutical medical industrial complex that is only in operation due to government financial scaffolding and protection? This level of vitriolic condemnation of the entire veterinary profession, human medical profession, and public health system would seem to disqualify one from being considered a doctor in any meaningful sense. I’ve written about Dr. Falconer several times. He is a homeopath who is adamantly opposed to almost all vaccination, parasite prevention and treatment, antibiotics, conventional diets, and just about everything else that constitutes the practice of scientific veterinary medicine and animal care. As with Dr. Jordan, he not only practices the completely worthless nonsense that is homeopathy, he actively recommends it instead of conventional medicine, and his advertising of his practice if founded on denigrating the rest of the veterinary profession. I put the antibiotics away for good when my own cat Cali, in trying to have her first kittens, did so out in the wilds of Haleakala on Maui, and came dragging herself in with a horribly infected uterus, leaking a foul smelling discharge, and clearly seriously ill. I knew even antibiotics would have a hard time helping her, but I also knew I had something deeply curative to offer now: homeopathic medicine. Cali was treated with pyrogenium 30C, a remedy made from rotten beef…Ater a few doses of this remedy and a couple of uterine flushes with a bit of anti-infective Chinese herb (Yunnan Paiyao), Cali made a full and remarkable recovery. It was as though she’d never been sick. I had an “Ah-ha!” moment, and tossed my antibiotics in the trash. I never knew that when they first came out with the heartworm drugs, back in the 80’s. I learned it when I left conventional practice and started to dig into what can hurt your dog, make her ill, and even kill her…It turns out that the drugs commonly pushed on you as “heartworm prevention,” carry the risk of autoimmune disease. Here are the five things that will have the greatest impact in keeping your animal vital, healthy, and living a long, joyful life with you. Feed Them What Their Ancestors Ate. Stop Using Pesticides to Kill Fleas. Stop Using Poisons for Heartworm Prevention. Give Them Raw Bones (for the whitest teeth and freshest breath ever). Imagine avoiding risky vaccinations while getting very strong immune protection against parvo and distemper, the two potentially deadly diseases of puppies. You know vaccinations are grossly over provided in our broken system of veterinary medicine. The pushing of vaccinations by Dr. WhiteCoat throughout your animal’s life doesn’t add to her immunity…And you know that vaccines are harmful. Chronic disease often follows vaccination, even a single vaccination. The model of disease prevention put forth by conventional veterinarians is fundamentally flawed. It is in fact damaging the animals whose owners partake in it. He’s comfortable in it; change loses to maintaining the status quo. Dr.Loops, another homeopathy, is an example of the alternative medicine convert. After practicing conventional medicine initially, he has decided that science-based medicine is worthless, and he uses homeopathy almost exclusively, even for fatal diseases such as cancer. In what sense is he a veterinarian rather than simply a homeopath? What does it matter if he has a veterinary degree if he has repudiated everything he learned in getting it? Should the public know that he has chosen to practice magic instead of medicine, and should he still be able to legally practice as a veterinarian? Veterinarians and animal guardians have to come to realise that they are not protecting animals from disease by annual vaccinations, but in fact, are destroying the health and immune systems of these same animals they love and care for. Homeopathic veterinarians and other holistic practitioners have maintained for some time that vaccinations do more harm than they provide benefits. My practice is mainly by referral and 95% by telephone consultation. I have treated thousands of cases using the principles of classical homeopathy and I continue to find this system of gentle healing to be the most effective therapy that has ever existed. Sixty percent of my new cases have cancer and most of these several hundred companions each year survive longer and have a better quality of life than cancer patients treated with Western medicine or other modalities…Having practiced 32 years as a veterinarian, ten with Western medicine and over twenty with homeopathy, there is little doubt about which is the more effective system and which has the most curative approach to disease. The side-effects of homeopathic treatment are improved, overall health and a heightened sense of well-being; side-effects not typically found with Western medicine. Another example of such a convert from veterinary medicine to anti-medicine is Dr. Jenifer Preston. She too bases her approach on blaming the rest of the veterinary profession for nearly all the illnesses pets suffer from. So again, how is she a veterinarian rather than just a homeopath? Dr. Preston practiced allopathic medicine for twenty five years before realizing that the vaccinations and drugs she dispensed daily were causing more problems than they ever solved and often to a more severe degree…The drugs prescribed every day were literally destroying healthy organs and shortening lives. Over the years, drugs and vaccines have made our pets, our beloved companions, seriously sicker and have shortened their natural life span. Why do we so often see premature aging? How do we STOP this trend? Treat holistically! A majority of diseases plaguing dogs, cats, and horses today are what is termed auto-immune syndromes. This means that your companions have had their whole immune system severely compromised, so that their body cannot naturally maintain optimum health. Nature’s defense, so cleverly installed in every mammal, has been dismantled. What are the obvious culprits here?? The use of VACCINES and DRUGS over and over and over. Do you know that EVERY drug has at least one side effect–many very serious or fatal? Do you know that animal vaccines always contain mercury, formaldehyde and/or aluminum? Do you know that animal insecticides are not only poisoning your pet but poisoning our planet? Of course, Dr. Plechner has provided material for some of the most read articles and most virulent hate mail on this blog. He is an odd duck in that his practices fit under neither mainstream nor typical alternative medical systems. Basically, he has invented his own cause of all disease and his own treatment for all disease, utilizing conventional tests and medications in completely idiosyncratic ways. There is no scientific legitimacy to his practices, merely his opinion and those anecdotes he chooses to promote. And I have heard not only from pet owners whose animals have been harmed by him, but also from veterinarians who have had to treat patients injured by his practices. These veterinarians have been unwilling to tell the public about their experiences out of a desire to avoid conflict and a sense of loyalty to the profession. This sense is clearly one Dr. Plechner doesn’t share, as he promotes his practices, once again, on the basis of condemning mainstream veterinary medicine as greedy and ineffective. profits made by all of the cancer treatment drugs and the associated services involved in treating cancer. Sad to say, the treatment of cancer has proven itself to be, a tremendously successful revenue builder. Why wouldn’t you keep a possible cure under wraps? Much of so called ‘science’ operates on this basis. And most of the medical/ big pharma colluded industry has a cozy little relationship with government, msm and the educational institutes to boot. We should class them as ‘Disease Care’ providers, and not Health Care! Dr. Lonsdale is a promoter of raw diets. This in itself is not unusual. However, his obsession with this topic has led him to a broad rejection of nearly every aspect of science-based veterinary medicine, and a barrage of accusations characterizing the veterinary profession as fundamentally corrupt and intentionally harmful to animal health. 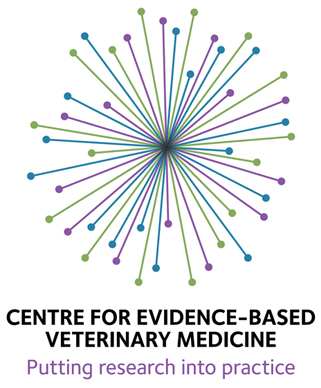 There’s a creeping realisation that much veterinary ‘evidence’ fails the scientific test. Over-servicing based on dubious interpretations of the evidence — or suppression of the evidence — is commonplace. Needless vaccinations against non-existent diseases prop up the veterinary economy. Pick up any veterinary publication and you’ll see big pharma exert control and invoke their interpretations of the ‘evidence’. Of greater concern, junk pet-food makers enjoy special relationships with veterinary regulators, schools, associations, researchers, suppliers and practitioners. Defenders of the system employ dodgy assumptions and defective logic. Little or no consideration is given to subjective assessments, the basis of most decisions by clients and clinicians, or the complex interconnectivity of our world. Vets pursue the reductionist, treatment and germ theory paradigms with varying degrees of commitment and expertise, but seldom or never consider the limitations of those belief systems. The purpose of regulating veterinary medicine, licensing veterinarians, and establishing even the minimal standards of practice and ethics that exists is to protect the public. People should be able to expect that a licensed vet not only has an education in the principles of science and science-based medicine but is prepared to utilize them in patient care. While there is great space for individual judgment and variation in exactly how we treat patients, it is deceptive to the public, unfair to other veterinarians, and dangerous to patients to allow vets who actively repudiate the core principles of science and scientific medicine, defame the rest of the profession, and offer only treatments that are untested or directly incompatible with science to practice as if they were legitimate doctors of veterinary medicine. If they wish to abandon the profession and its values and methods, then they ought to give up the rights and privileges of membership and not present themselves as veterinarians but as homeopaths, herbalists, Plechnerists, or whatever other type of alternative practitioner fits their ideology. 12 Responses to Anti-Medicine Vets: Should Rejection of Scientific Medicine Disqualify One from Practicing as a Licensed Veterinarian? Exactly. This is why I was drawn to them after losing a dog to a rare form of cancer. I assumed that they knew what they were talking about. But when I saw that they advised no antibiotics, no pain meds, no aggressive treatment for dogs that were heartworm positive, etc. I knew it was BS. Also, has anyone looked at what they charge for consultations? Very expensive. The real question that should be asked is whether there is any value in having any type of professional licensure. It suggests that a government empowered body guarantees the integrety and compentence of a select group of individuals in some discipline and that only those individuals are competent. Its primary purpose is to limit competition in a wide variety of professions. Fraud statutes already prohibit someone from representing him or herself as a graduate of some college or other training program or as being a member of some organization such as the AVMA, the AMA, or the Bar Assn. People should be able decide for themselves what credentials are important to them. They also can and should consider the opinions of people who have used the services and of other professionals who mght be familiar with them. The posession of a license, by itself, provides almost no information and is more likely to mislead the uninformed than it is to protect them. I agree with almost everything you have said about science and medicine and I have adhered to those principles in my veterinary career for the past 38 years. However, I have known many other practitioners whose approach, competence, or character did not make me feel that their clients and patients were in good hands, and yet they had the same license that I had. To be fair, I am sure there were some who might have felt the same way about me. I would not have attempted to come between them and their clients, but I would have preferred that neither of us had the exclusive right to call ourselves licensed veterinarians. The history of medical licensure is an interesting one, which I’ve only written about briefly (Part 1 and Part 2 address this issue). The debate about whether or not medical licensure serves a useful purpose is, of course, part of the much larger debate about the role of government, and we’re unlikely to solve that here! Personally, I believe that the caveat emptor approach in which anyone at all could declare themselves a medical practitioner of whatever flavor they chose and the patient was supposed to decide who would actually help them and who was a quack was a disastrous approach that caused a great deal of needless suffering. Licensure limits medical practice to individuals with at least a type of training recognized as, in some sense, “real medicine,” and while that doesn’t guarantee competence, it weeds out the most extreme quackery. The lay public cannot distinguish between the legitimacy of an internist and a homeopath, an orthopedic surgeon and a chiropractor, so without some licensure and regulation mechanism, they are at the mercy of medical advertising. While these vets exemplify the failings of the system, the fact that the vast majority of vets the average animal owner is likely to see aren’t crazy like this is due, in part, to the process of licensure, and I suspect the most useful action would be not to abolish such a system but to better define standards by which real medicine and quackery can be roughly distinguished. I think the evidence is sufficient and the government authority well established by precedent to allow, for example, the prohibition of offering homeopathy under the color of a veterinary license. It will never happen, due to the reluctance to allow government to intrude on personal choice even when such intrusion reduces deception and suffering, but it could be done and, in my opinion, would do more good than harm. So you believe mercury in vaccines is good for humans and animals? .. is just a “conspiracy”? “The number of children diagnosed with autism or related disorders has grown at what many call an alarming rate. In the 1970s and 1980s, about one out of every 2,000 children had autism. … is normal? And we need more Aspartame, genetically modified products, synthetic preservatives, and steroids in our foods? I am not against vaccination, but I don’t want any(for myself or my family) with mercury and other toxic heavy metals in them. If any doctor gets paid to give me such toxic “medicines” I would consider him/her a “quack”. The bottom line is you’ve been lied to. I have written about thimerosal in vaccines, and it is abundantly clear that 1) it never was a health hazard and 2) removing it from vaccines for children has had no impact on all the problems anti-vaccine activists blame on it. It has also been proven beyond a shadow of a doubt that vaccination has absolutely no causal role in autism. If you believe these lies, then regardless of your good intentions you are “anti-vaccine” because you are both avoiding a crucial preventative healthcare action you should be taking for yourself and your children as well as needlessly frightening others into doing the same. There are plenty of areas of reasonable disagreement in medicine, but these clichés about vaccines are unreasonable and untrue. As for the other boogeymen you mention, even if they have nothing to do with the subject of vaccination, you have no evidence showing these are the terrifying health hazards you seem to believe they are. There is plenty we don’t know about these, and some may actually have some specific risks, but so far the evidence doesn’t support this kind of hysteria. Here are some more evidence-based resources discussing aspartame (1,2) and GMOs. So if your real question is do I think the anti-vaccine lies and unjustified hysteria these vets promote, and which apparently you have bought into, are factually wrong and harmful, then the answer is Yes! I didn’t know where to post this or how it may relate to animal’s in the same way, but thought I would post it. You seem to do yourself a disservice or at least your audience by only attacking non- pharm supplements. But to be fair and balanced you really should not ignore evidence about pharmaceutical drugs. The sudden onset of kidney problems often serves as a warning for doctors to discontinue patients’ use of proton pump inhibitors (PPIs), sold under brand names Prevacid, Prilosec, Nexium and Protonix, among others. But a new study indicates that more than half of patients who develop chronic kidney damage while taking the drugs don’t experience acute kidney problems beforehand, according to researchers. Ron, I think Brennen is about as good as it gets in veterinary medicine striking a balance. He is also good at introducing new medical concepts like “over diagnosis” into vet medicine. The non pharm supplements attacks are not as much fun to read about for me but when a client ask about a specific one its nice to put the name of the supplement and skeptvet into google and print out for the client the evidence that the supplement written about on skeptvet is worthless. The vet down the street from me with the fancy million dollar building advertises homeopathy and 24 hour emergence service on the same webpage and most clients do not know he is selling water in a bottle as medicine. So I need someone to keep banging away at the quackery to help me convince the client more medicine is not always better medicine. Brennen does that for me for free. What a guy. But anyways I will give it a try. I’m not here to attack him or the practices you are both involved in. I just get frustrated when people hold others to accountability and standards that they don’t seem to require in their own circles. The Indianapolis Star did a balanced piece a few years back on Pet Meds. A few paragraphs from linked article. “The Star examined public records, studies and drug reaction data, and conducted interviews with company officials, pet owners, scientists, lawyers, epidemiologists, regulators and veterinarians. They told the story of an industry that is looking for ways to shore up declining revenues from human drugs, re-purposing molecules that had an array of original uses for people and crops, and pushing government officials to speed up the approval process. Drug and medical-device companies are pouring millions of dollars a year into research and development of pet medicines, hoping they can help make up the difference for a slowdown in human drug approvals. There are specialized animal drugs for everything from arthritis and heart disease to obesity and kidney disease. Retail sales of pet medicines in 2013 were $7.6 billion, up more than 60 percent from 2006, according to the Federal Trade Commission and Packaged Facts, a national market researcher. And the growth shows no sign of stalling, with sales projected to reach $10.2 billion by 2018. Last year, the third-biggest initial public offering on Wall Street was a pet medicine company, Zoetis, a spinoff from drug giant Pfizer. This year, Lilly said it would pay $5 billion to acquire Novartis’ animal medicine, which would make Lilly the animal health industry’s second-largest player. Again, all you choose to do is post negative information about science-based medicine and ignore anything positive. Chronic use of PPIs does appear to have negative effects in some people. Yet their use has also improved the health and quality of life for many people. They are an integral part of ulcer therapy, for example, which has dramatically reduced this once widespread disease that caused significant illness and death. You are blinded to all the great good medicine does, and obsessed by examples of its limitations. Even when these limitations are real, they are meaningless unless balanced against the good medicine does, and you steadfastly refuse to see or recognize this. I’m not “attacking” any particular category of supplements, I am evaluating the claims made for alternative therapies in light of the available evidence because people have a right to be fully informed about these products, and those who sell them or promote them, as you do, refuse to give a balanced or accurate assessment so people can make informed choices. Once again, Ron, you are promoting a one-sided and inaccurate narrative. For one thing, you keep complaining about “censorship” even though every one of your posts and nearly all of your links have been approved. Trying to suggest you are being “silenced” in some way is disingenuous and unfair. I have no obligation to allow any commentary on the blog, since its purpose is simply to provide information for pet owners they cannot easily find elsewhere, not to set up a debate forum. I do so anyway in the hopes that civil and substantive discussions will be informative for all sides. But if you are going to continue to make baseless insinuations like this, you might well be “silenced” after all simply for trying to use the comments as a means for one-sided promotion of your views rather than real discussion. As for the suggestion that I hold alternative medicine to a different standard than science-based medicine, that is once again a product of your ideologically driven imagination. As Art alluded to, I am very active in promoting evidence-based medicine in the profession. This applies equally to all aspects of veterinary medicine. As you can see from the blog, I apply this to cruciate surgery, neutering, vaccination practices, and plenty of common conventional practices. However, as I have also explained often, the alternative medicine community is particularly resistant to acknowledging the importance of scientific evidence and to abandoning practices that have been shown to be unsafe or ineffective. The mere fact that anyone practices homeopathy at all, given how clearly useless it is, exemplifies this clearly. And the vast majority of the information available to pet owners on the internet about alternative therapies is marketing and propaganda from those selling them. The purpose of this blog is to provide additional, science-based information where it is hard to come by. If you want to see criticism of pharmaceuticals, for example, you will find hundreds of people online providing that for you. I fill a needed information niche here, and to suggest that the lack of objectivity or balance falls on my side of the discussion is inaccurate and a bit hypocritical. Dr, I have absolutely, as they say. No skin in the game. I am just a consumer and laymen type investigator. I certainly don’t profit from the supplement business, if that is what you were implying.